Note, everything in this post was given to me by Island Batik as part of their ambassador program. 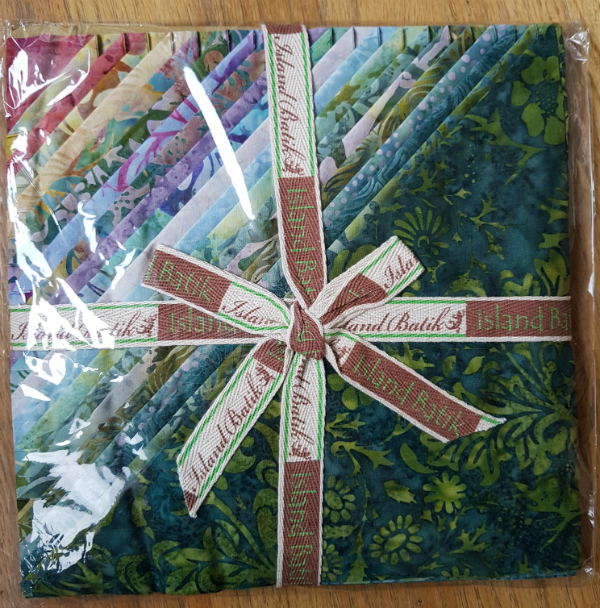 My second Island Batik ambassador box was waiting for me at the post office when we got home from holidays and what a great welcome home gift it was! There were so many gorgeous things in the box and I know I'm going to have a lot of fun making with them over the next few months. Let's have a look, shall we? First, I had a surprise bundle, which I can't share yet. 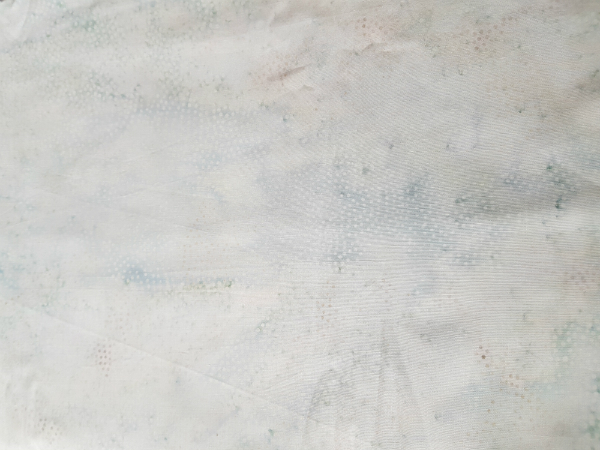 It was all wrapped up in pretty butterfly paper, but I tore that off before I started taking pictures, so you'll just have to take my word for it 😊 I'm dying to share it with you because the colours and the prints are all gorgeous, but we'll just have to wait for a few more months. If it's any consolation, I'll soon be sharing the surprise bundle from my first ambassador box, so that will be one less secret for me to be keeping! 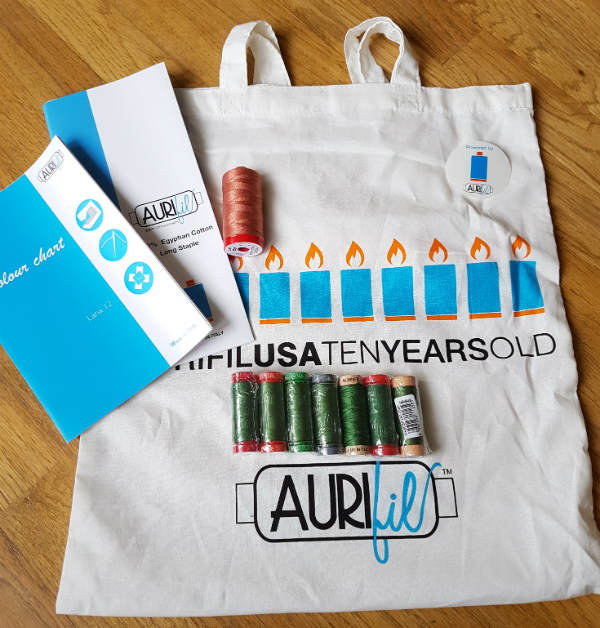 Aurifil is partnering with Island Batik this year, so we had a lovely Aurifil bag with some 12 wt thread in 6728 (cinnabar) and a sampler of 2890 (dark grass green) in all of the possible weights. I'm looking forward to testing some of the new-to-me ones out. 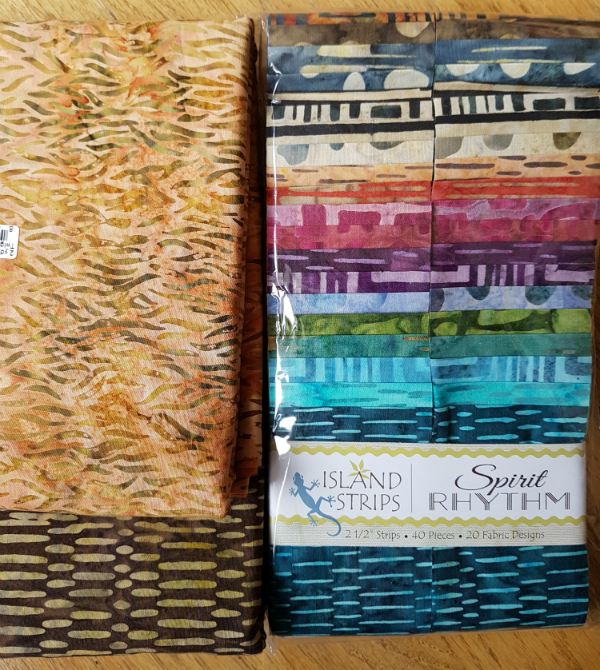 There were three precut bundles in the box this time, starting with a 2 1/2" strip pack of Spirit Rythym, along with yardage of a light and a dark to coordinate. What is your favourite pattern for using 2 1/2" strips? Next is a 10" stack of Victoria and Albert. I love the lush blues and greens in this bundle. And those Island Batik ribbons around the stack? The ones that were in my first ambassador box found their way into the fidget blanket I made a couple of months ago (turned upside down so the writing wasn't visible). You can be sure these ones will be stashed away until I find a use for them. There was also a 10" stack of bright Paisley Dots. Aren't they gorgeous? I see a very cheerful quilt in my near future 😊 This seems to be saying 'flowers' to me, but I'm not sure yet if that's what it will become. 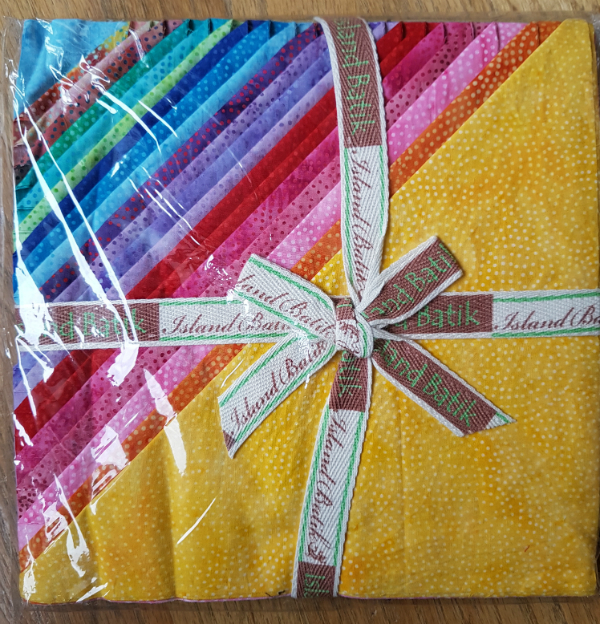 Island Batik also sent some solids this time, which will be wonderful for setting off some of those bright colours. There's white, black and grey. 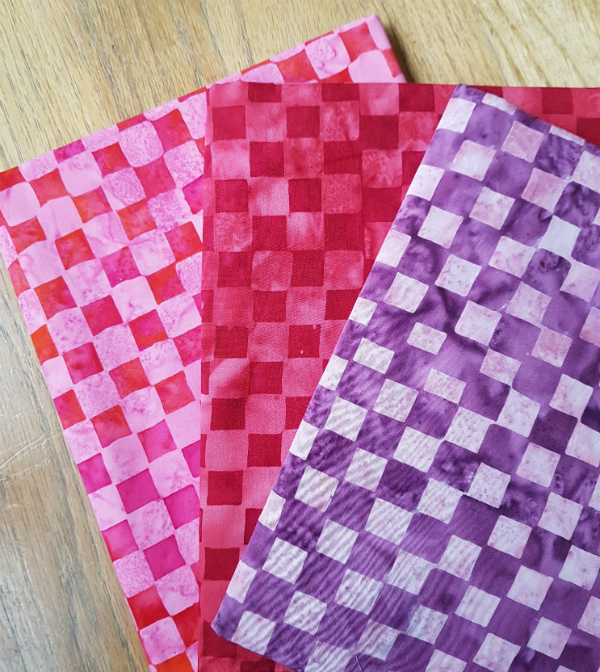 They also sent these fun checkered fabrics. I love the colours, but I have to admit I'm not quite sure how I'll use them yet. How would you use them? 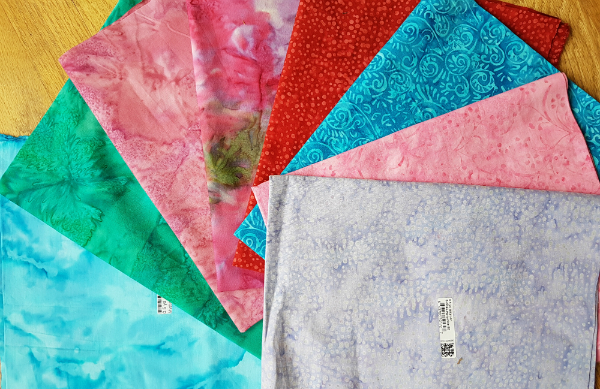 Continuing on with the bright, beautiful colours, I had this bundle of Foundations fabrics. These prints and colours are always available, unlike the lines that are only available for a short time. I love them all! Last, but not least, Hobbs batting is also partnering with Island Batik this year and they sent three battings. 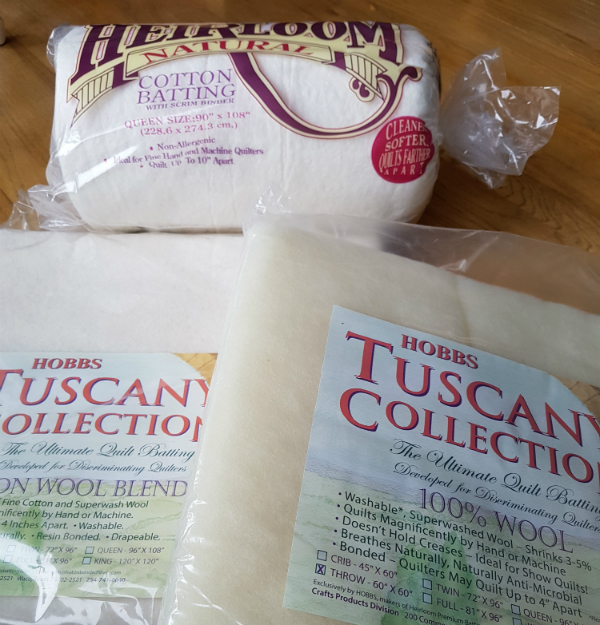 There are throw size battings in 100% wool and a cotton/wool blend along with a queen size cotton batting. I've never tried wool batting, so I'm curious to see how that works for me. Island Batik sure knows how to spoil us ambassadors! 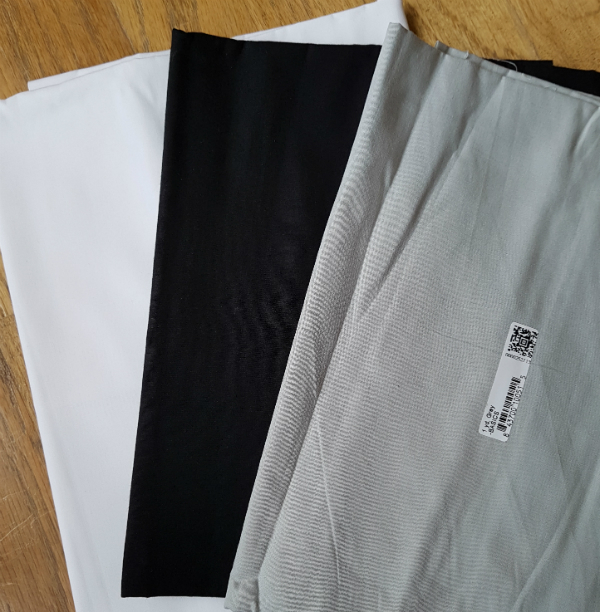 I've had to pet these bundles of fabric a few times since I opened the box, just admiring the beautiful colours and pondering how I'll use them. A box full of possibilites is a wonderful thing, don't you agree? Awesome box of goodies. The dots look great. Enjoy creating with your wonderful goodies. Lots of bright fun colors this time (and neutrals, yay!). I look forward to seeing what you make.